I am out of town celebrating my birthday with family and visiting my childhood home before it's sale closes next month, so I thought I'd share with you some of my favorite fashion bloggers and fashionable Instagram friends while I'm away! I really adore so many ladies I'm virtually friends with, so I decided to narrow down my 8 travel days with some of my earlier on and/or most bonded to friends, who obviously have great style (that's a given!). 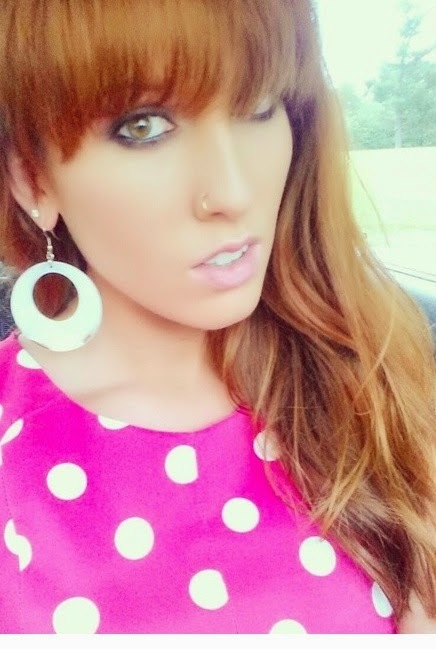 I'll be traveling a lot over the next few months so if all goes well and we're fashion friends, you may be next ;) Today is my birthday, so I figured it'd be the best day to introduce you to a fellow redhead with bangs, Allie, so she can be my (hotter :-p) stunt double! We "met" on Instagram pretty early on this year and we seem to oddly care about each other despite that we haven't met in real life! We're always cheerleading each other on from everything from outfits to life events, so sometimes I forget we're not "real life friends" (yet)! She, like most of my fashion friends, has a love of Modcloth and has a seriously amazing collection of dresses with great prints! She does not have a blog, but she does have an Instagram in which she showcases these outfits that I highly recommend following! (@thealliecat). I asked the ladies to either write about their fashion journey, favorite outfit, and/or how they got into fashion blogging or outfit sharing. First off, my name is Alexandria, but they call me Alliecat ;) The dress I picked for the topic "my favorite outfit" is this simple but fun and adorable anchor dress I bought from modcloth.com. About 6 years ago I started working at a bank. And of course had to do some new wardrobe shopping for the job. 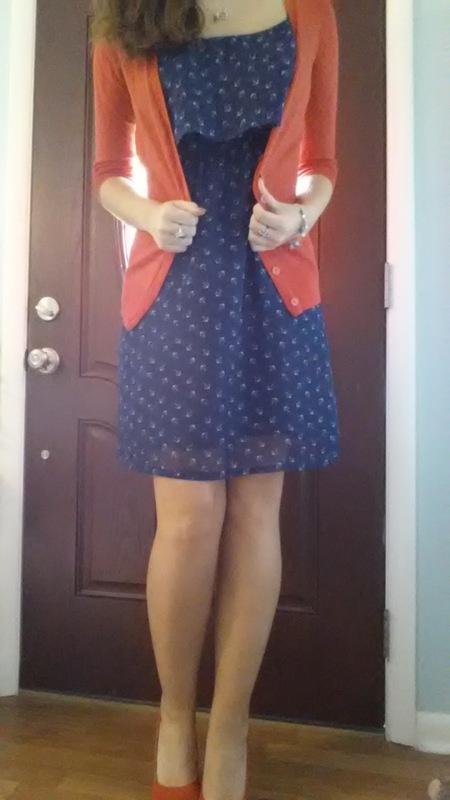 I always loved fashion but never really went out and bought outfits that I was in love with because normally I had no idea where to wear them to until my new job! I started buying dress pants and pretty tops until the day a fellow employee told me about Modcloth! As soon as I looked it up I was hooked! 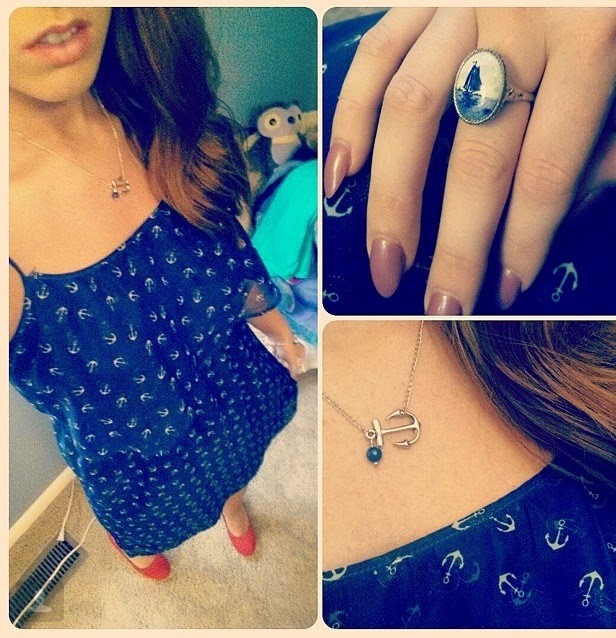 I've always been into nautical things beings I'm from Florida, so as soon as I layed eyes on this anchor dress I fell in love!